My version of the vodka n’ tonic. A great drink in a bar as you really get to taste the essence of the vodka and not have to worry about the quality of their juice, making it a great substitute for a vodka/juice drink. Cousin of the gimlet. 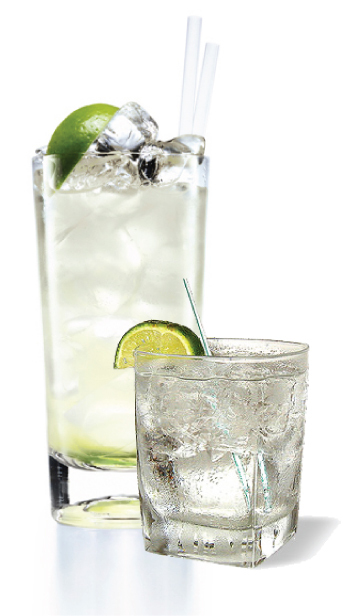 pour vodka over ice in a lo-ball glass, mix in tonic water, twist wedge of lime before dropping it on top. For an added flavor, after twisting lime, rub lime across the rim of the glass.